Tying a tie is easy, but choosing the right kind of a tie requires insider knowledge. When you are smartly dressed in a coordinated outfit, many people compliment on your tie. Therefore, it is important to choose the right necktie as it makes the difference between looking awkward and stylish. It is important you make a difference between a grenadine tie and other ties available in the shops, that is if you are unfamiliar with a wide range of ties. If you are looking forward to buying a high-quality version of an Italian necktie, here are tips to buying it. The fabric. A quality tie is made of fabric which makes a better knot, shape, and a better look. On my own opinion silk is the best fabric for men’s neckties. Most Italian neckties are made of silk which is a classic high-end material for ties. A relatively thin silk is not only attractive but also durable. Silk is naturally wrinkle resistant and its known to keep its shape, yielding a good knot and draping well. If you want to buy a good Italian necktie, consider the silk one as the best silk ties come from Italy and England. Proportion. Just like other things, ties come in different shapes and sizes. A good tie matches well with your body frame and the outfit you are to wear. Skinny ties work well with tiny knots while wider ties work well with larger knots. Therefore, it is important to remember that tie width and knot size should match the proportions of your suit and shirt. Stitch. Before purchasing your tie, its crucial to carefully look at the back of the tie to see the stitch joining each end s together. Hand-stitched neckties are quality than neckties with machine-made stitches. The stitch is always horizontal and the best should have a bar tack. Therefore, when making purchasing your tie it’s important to critically examine the bar tack. Cutting. A proper Italian necktie is cut on the bias. This means that the lower section of the tie’s material is cut at a 45-degree from the edge. A tie will move more naturally with the wearer if it has a bias cut that stretches downwards. However, if the tie has a poor cut it quickly gets twisted and distorted sideways. If a tie is cut on the bias can be determined by a pull test. The design. The design of an Italian tie is catchy, I mean its attractive. 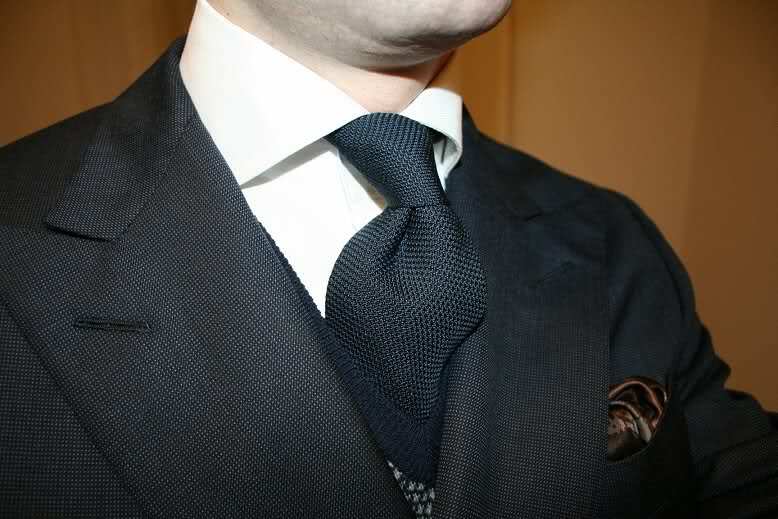 A good design of a necktie is the one that creates contrast with your shirt. Also, a tie should not be overly loud such that it distracts the viewer’s eye. Typically, a tie should add flair to your ensemble. Moreover, a tie should be simple by a look that is its color and pattern should be simple. When your necktie pairs with your shirt or suit, it makes you look presentable in any situation. Being presentable earns you respect.